Adding a number of customized banners within and around your building and office space can completely change the look and feel of your business. With fade-resistant inks that print boldly onto their material, vinyl banners attract attention from people all around. They allow a space to share information with the public about your company. Banners can also be customized to promote particular products or services you’re currently featuring. At SpeedPro Imaging Frisco/Plano, your branding needs are met with top-notch attention to detail and precision. 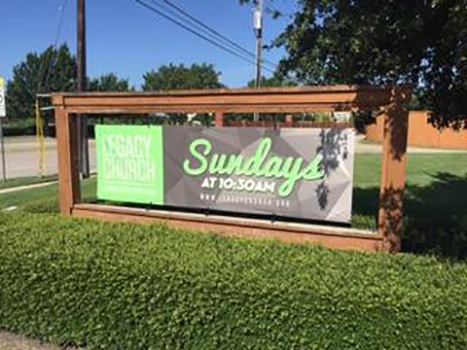 If your company or organization is ready for an updated look and is located in areas surrounding Plano, Frisco and McKinney, call us for branded business banners now. 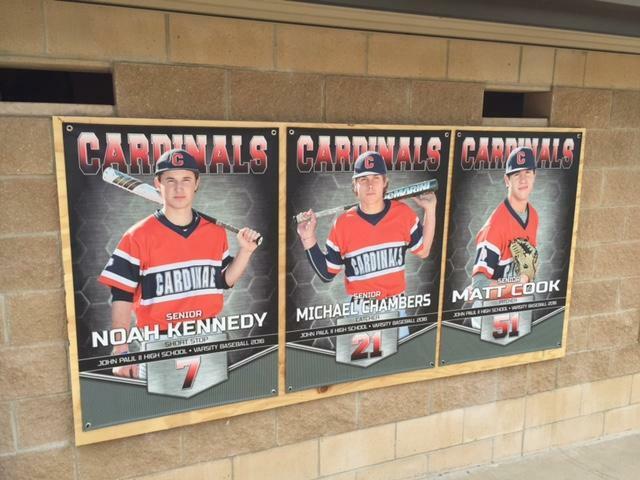 Vinyl material is a durable support for many banners at SpeedPro Imaging Frisco/Plano that can prominently feature your brand. It has enough integrity to withstand weather and environmental conditions, allowing for both indoor and outdoor use. Add our bright, vivid inks into the mix, and your banner will always stay on point, looking as good as it did the day it came out of the printer. Because these vinyl banners can be placed inside or outside, their versatility is a characteristic you’ll fall in love with. Many banner types can be easily transported or relocated to meet your wishes and demands. Retractable banners can sit inside next to reception and then be pulled outdoors to greet an afternoon rush of customers. Banners that hang or drape can slide off of their grommets or poles to easily affix in a number of scenarios. The combination of durability and versatility in our vibrant banners ensures your brand will always create a visible impact. Scrim banners are popular because they’re so lightweight, making them easy to transport and move around. They also work best for short-term uses, such as for presentations and conferences, and can easily be stored away for use at a later time. If you’re looking for an outdoor option, mesh is your go-to. The most common fear about placing banners outdoors is that rain or wind will damage their material. With a mesh custom banner, you won’t have to worry about wind disruption — up to 70 percent air flow is allowed through the mesh, heavily reducing the risk of tearing. Business banners offer a great way to advertise your brand and attract customer attention. Whether you put them inside or outside, you’ll be sure to invite people closer with the information displayed. Call us today, and we’ll schedule a consultation to begin discussing your branding needs.